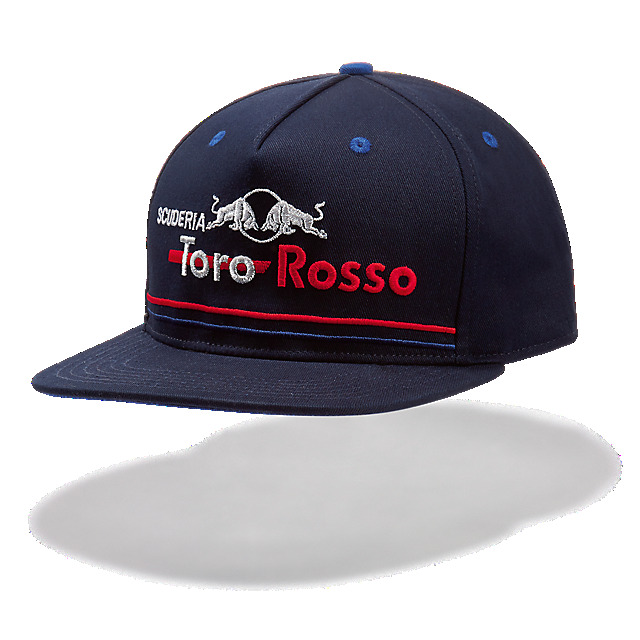 Turn heads with the Scuderia Toro Rosso Reflex Flatcap. 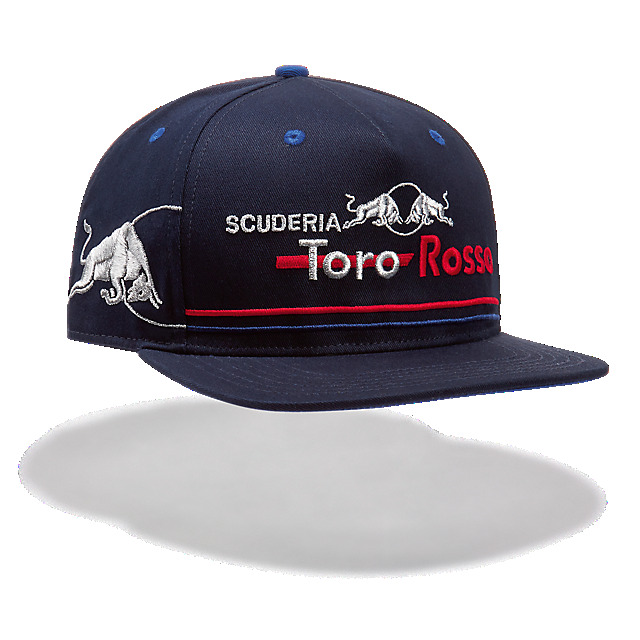 Designed in navy, it has a big embroidered Scuderia Toro Rosso logo on the front crown in red and silver, together with a statement Red Bull logo on the side in silver. 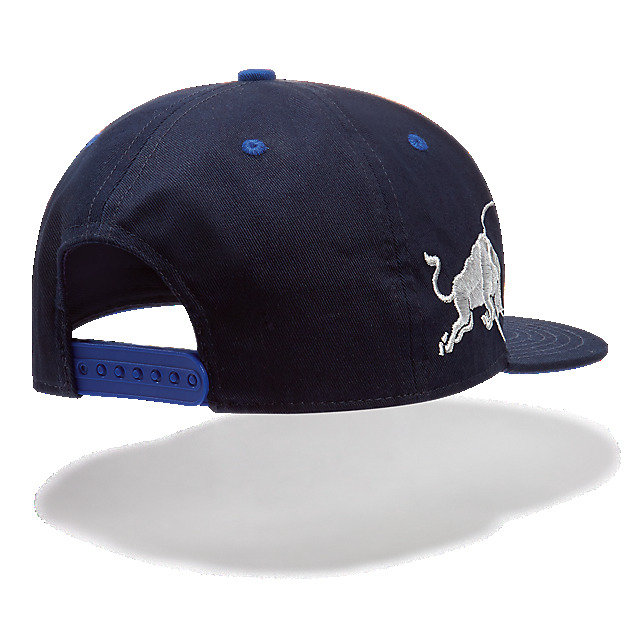 A contrast snapback in reflex blue complements matching embroidered eyelets.